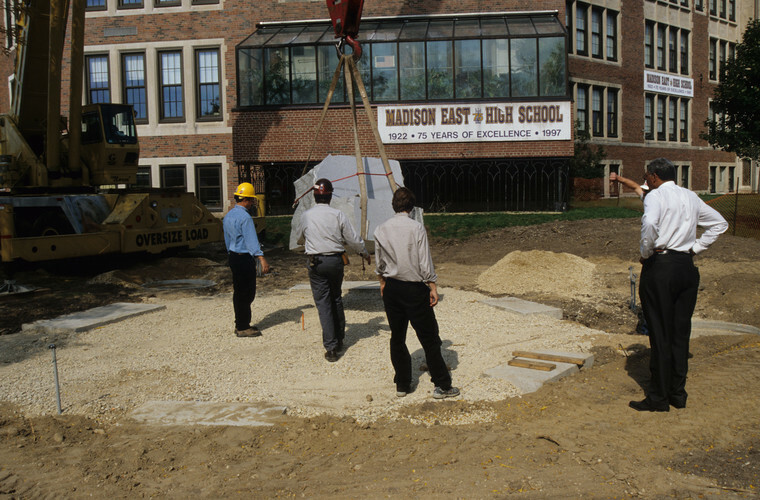 The Madison Project is a collaboration with four High Schools to empower students who survived violence in the artists’ hometown of Madison, WI. 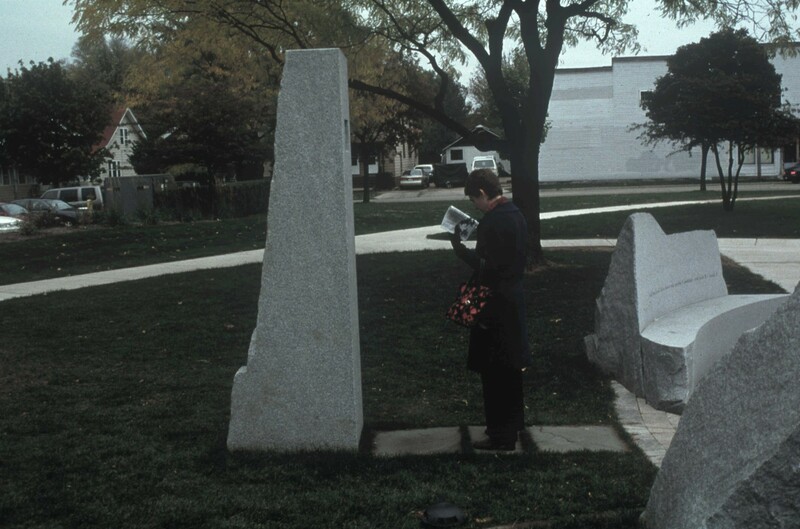 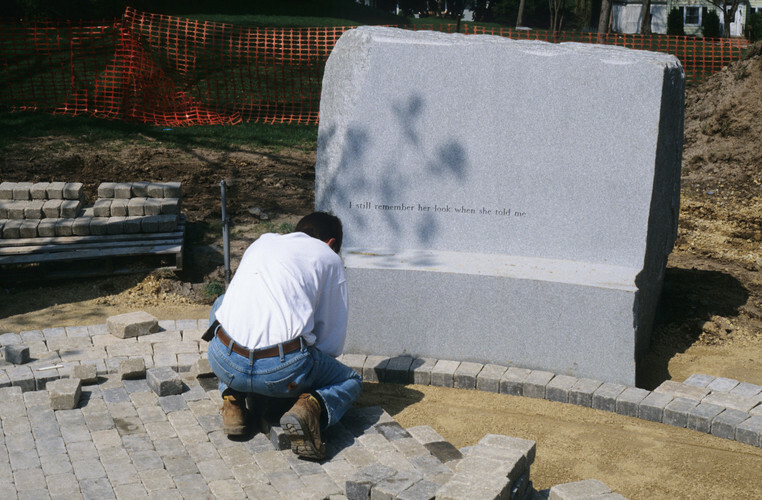 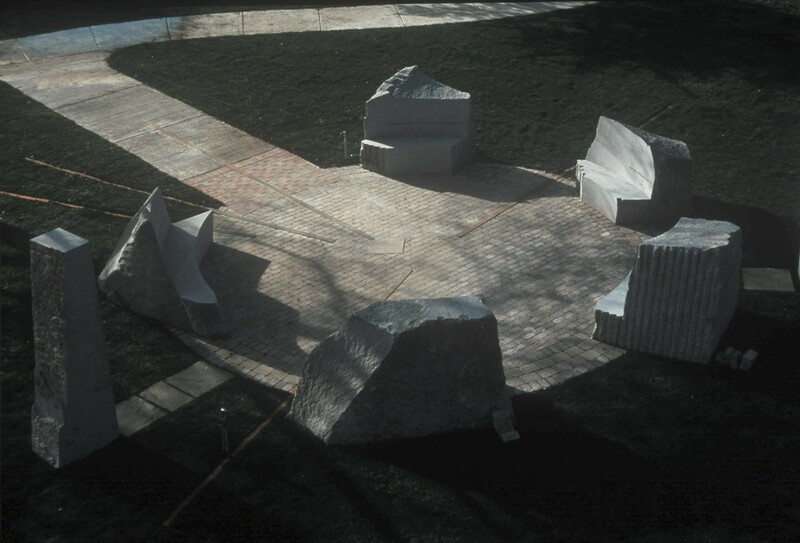 Path of Voices has five granite benches in a circular formation, with a brick path leading up to it. 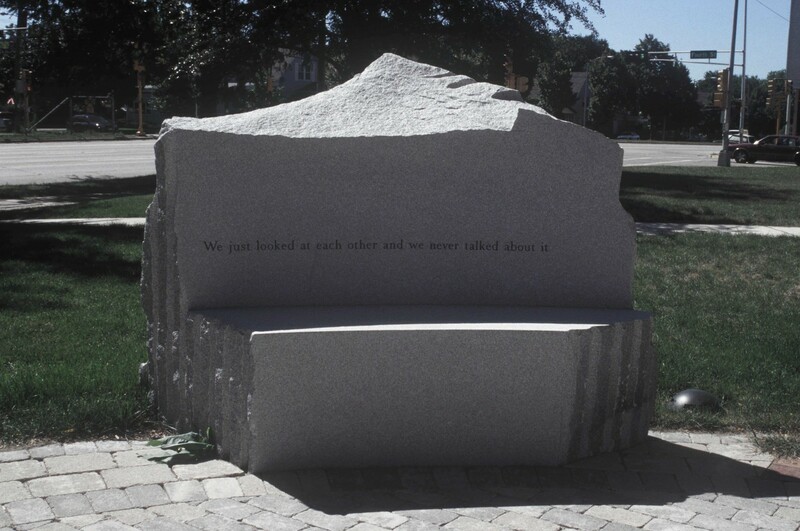 Engraved in each bench are poignant quotes extracted from interviews with the victims of violence that were recorded and edited by students. 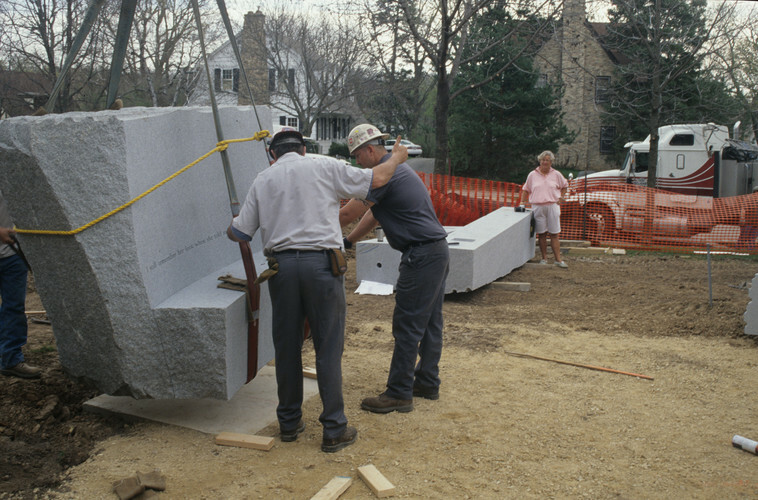 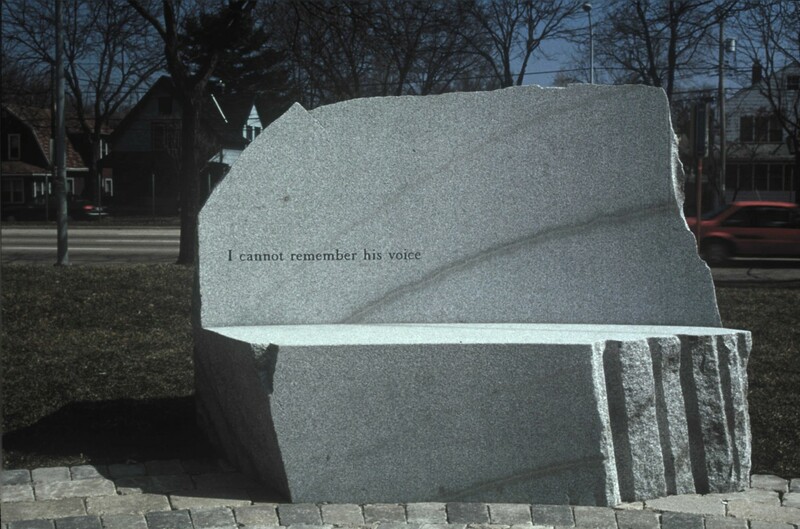 Behind the benches, two granite pillars with built-in speakers subtly amplify these oral testimonies which could be heard 24 hours a day. 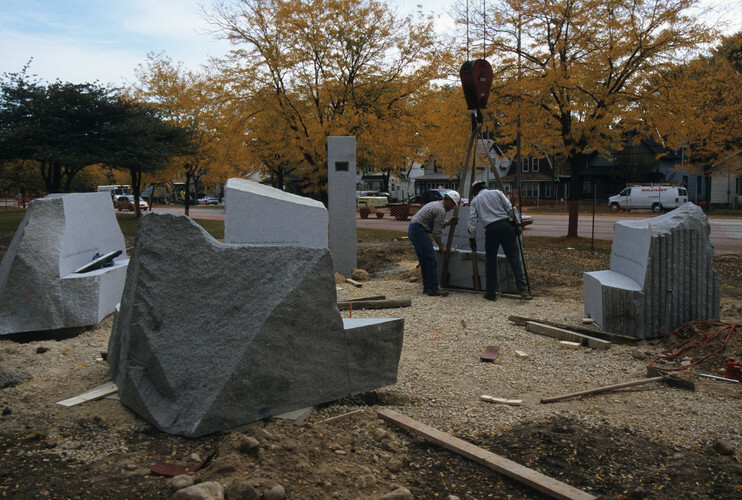 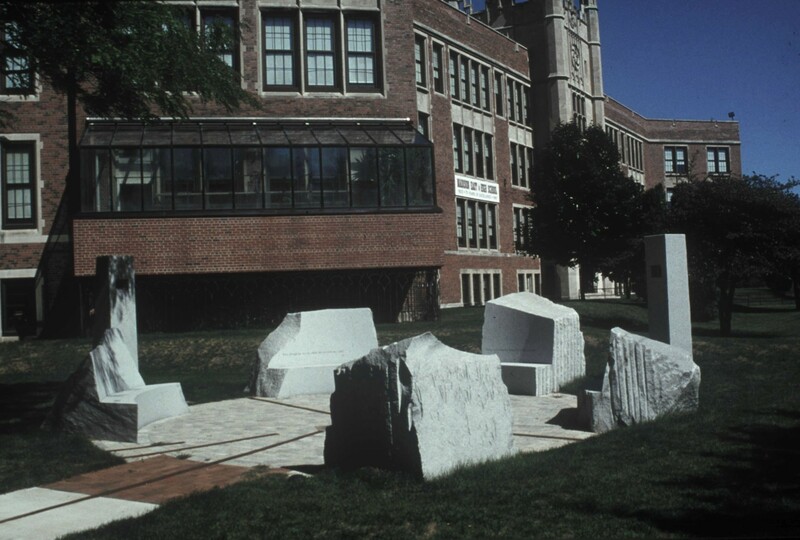 A special group of teachers, students, and parents dedicated five granite sculptures to schools in the area to draw attention to the problem of violence and to urge peace and unity in addressing violence within Madison’s schools and the larger community.